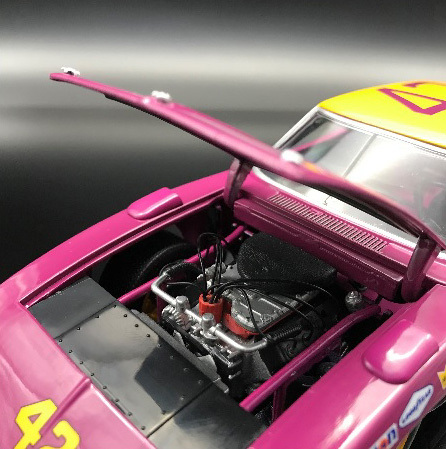 1969 Marty Robbins #42 Dodge Daytona NASCAR 1/24 diecast, by University of Racing Legends. 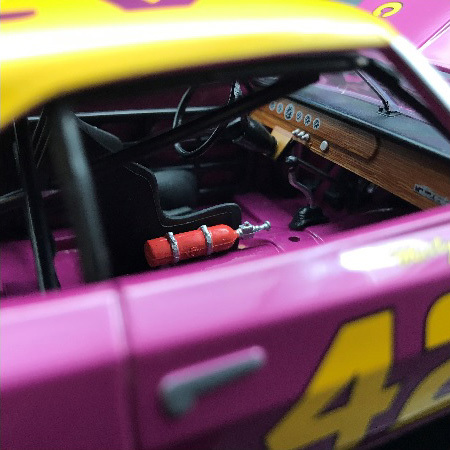 This Cotton Owens Garage #42 Dodge Daytona was raced by Marty Robbins in the NASCAR Winston Cup Series, National 500 at Charlotte Motor Speedway in 1970. 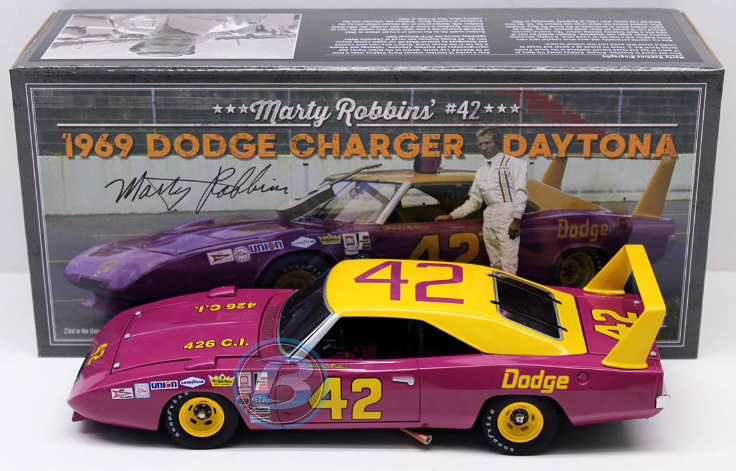 Country music legend Marty Robbins made 35 starts in NASCAR's top series, his best finish was 5th place at Michigan in 1974. Marty Robbins died in 1982 of heart failure.